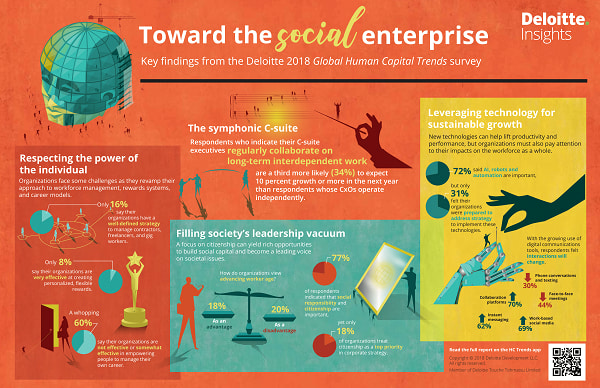 Deloitte unveils its sixth annual Human Capital Trends Report and highlights the growing significance of social enterprise. 65 percent of CEOs rated “inclusive growth” as one of their top-three strategic concerns, giving social capital a newfound status next to financial and physical capital in value. Besides this “citizenship and social impact” were rated critical by 77 percent of the respondents. However, this topic was rated the “least ready” issue among the surveyed executives. “This year’s report is a wake-up call for organizations to look beyond their own four walls and reimagine their broader roles in society. 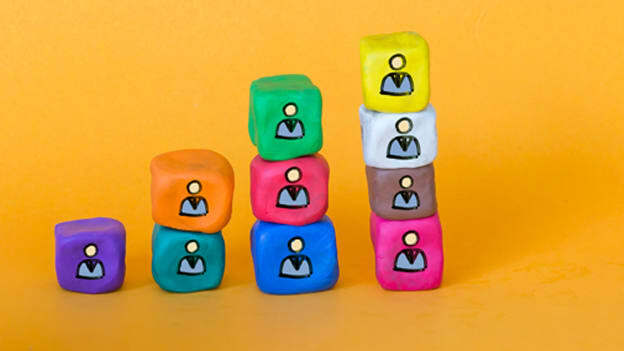 Integrating the C-suite to build a more social enterprise will be a differentiator for businesses to attract the right talent, drive customer loyalty and sustain long-term growth,” said Erica Volini, U.S. Human Capital Leader, Deloitte Consulting LLP. The rise of social enterprise is a reflection of the growing importance of social capital in shaping an organization’s purpose, guiding its relationships with stakeholders, and influencing its ultimate success or failure. Globally, by 2020, 37 percent of organizations expect growth in contractors, 23 percent in freelancers, and 13 percent in gig workers. It is critical to successfully implement hybrid workforce strategies because they can have a significant impact on an organization's employment brand and external reputation. But are the organizations ready for this change? 57 percent of the organizations globally use non-traditional employees either in an ad-hoc or systematic manner. In India, this percentage goes up to 68 percent. 39 percent of the organizations globally do not have mechanisms for managing the performance of non-traditional employees. The Deloitte research shows that more than 4 in 10 companies believe automation will have a major impact on jobs, and 61 percent are now actively redesigning jobs around AI and robotics. However, the data reflects a gap between development programs and relevant career paths in India. Companies and individuals believe that the traditional career models are becoming defunct. While 62 percent of those surveyed consider building new career models and skills as very important, only 14 percent are ready to address this challenge. One of the biggest challenges found in the research is that C-suite executives are not operating or organized effectively to deal with this new world. Globally, 73 percent of those surveyed said their C-suite leaders, rarely, if ever work together, on projects and strategic initiatives. The report suggests that research a new model, the “Symphonic C-Suite,” to be the key to overcome this challenge. The model emphasizes that the companies should take on the issues as a team, creating a model of “teams leading teams,” instead of the siloed functional ownership seen in the C-Suite. The report counters the popular belief and suggests that rather than eliminating jobs, cognitive technologies will serve to create new jobs that are service-oriented, interpretive, social, and use essential human skills. As technology permeates the workplace, people analytics is at the top of executives’ minds, with 90 percent of respondents in India rating it as important or very important. However, only 13 percent of respondents feel very ready to deal with this challenge. The emergence of technology has further led to the increased demand for human skills. Executives are placing higher premiums on complex problem solving (66 percent), cognitive abilities 31 percent) and social skills (53 percent). But 33 percent of the respondents in India say they do not have a plan to cultivate them. In this new world of work, it's imperative that the companies rethink their work architecture to maximize the value of both humans and machines.